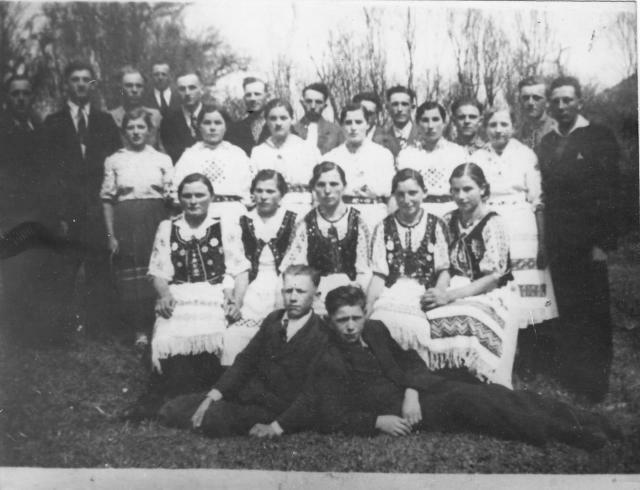 The Lemkos, an ethnic group of Carpathian highlanders that originated from mixing of Ukrainians, Slovaks, Poles, Vlachs and Ruthenians, lived their peaceful lives in the Beskid Niski mountain area for four centuries, until the post WW II years brought an end to their rich culture. 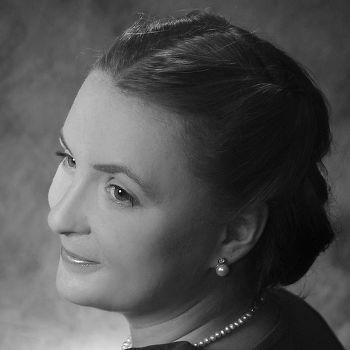 Until 1947 the Lemkos prided thmselves with a distinct dialect, culture, customs and even outfits, more closely related to the western Ukrainian culture than any other, but with no particular national identity besides their ethnic one. The Lemkos were Greek Orthodox; their main occupations were farming and animal husbandry, later also cloth making. When the times of the health resort came for Krynica, the Lemkos benefited, selling their agricultural produces to the townsmen and providing horse transportation. Their major settlement was the southern tip of the town, named Krynica Wieś. Just before WW II the Lemkos' national identity started to develop; the political activists emerged, and a periodic magazine and a primer were issued. When the war broke out, and the Nazi government took over Krynica, the Lemkos were lured into collaboration with the occupant, or otherwise harassed for non compliance. The worst was yet to come, though. In 1947 a decree was issued to resettle not only Lemkos, but also the Hutsuls and other ethnic groups from the eastern part of the former Republic of Poland, now western Ukraine. Operation "Vistula" (Polish: Akcja "Wisła"), was aimed at ethnic unification of the Poles, and resulted in forced resettlements to either the Soviet part of Ukraine, and the north-western part of Poland, where previously the Greman residents were forced out, as a result of the Jalta pact. The Lemko culture as it was for centuries, ceased. The regional outfits turned into costumes, and the music and customs were lost. Today there is a total of over 5800 Lemkos in Poland, though scattered in various parts of Poland; Krynica is again home for ca. 400 of them. The most renowned Lemko in the history of Krynica was Nikifor, a primitivist painter and a vagabond. Yet another renowned person with Lemko roots was Andy Warholl, whose Lemko family migrated to the US as a result of ethnic purges. The Lemko villages which are left are so beautiful. Its really magical to spend time in them when they are buried in snow or when its summer and the lazy meadows are soaked in sun... I have such wonderful memories. The Polish/Slovakian border is a gorgeous areas. Should we assume from your comment that you didnt actually read this article?